Thank you to all of the students who entered our September 2016 Chiropractic Scholarship contest! 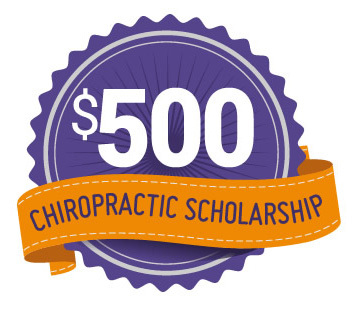 We are delighted to announce that we have chosen the recipient of the September 2016 $500 Perfect Patients Chiropractic Scholarship. Read the winning essay below! And learn more about the bi-annual scholarship here. Holistic care in chiropractic is the primary reason I’ve chosen this career path over allopathic medicine. It is because of these key distinctions that I have decided to invest my schooling under the umbrella of holistic and natural remedial care. The distinctions are rooted from the foundation that chiropractors aid in the process of the human body’s ability to heal itself using kinesiological techniques. This aid is supplied in a variety of forms and will be elaborated on as key points. Assessing the overall state of the patient is the first distinction. This goes far beyond the spectrum of learning medical histories; it is a personable interview to evaluate the type of environment the patient experiences daily. This can also provide information on previous accidents and the patient’s range of motion limitations. Taking into account nutritional consumption is the next distinction. One cannot be wholly well if they forgo diet. Food is the source of energy, being knowledgeable of it can lead many away from metabolic diseases. Naturally, what follows nutrition is exercise. Obesity is now one of the most deadly conditions in the United States. It can deter a person from participating in everyday tasks. Finally, and in my experience the most important, is the patient-doctor relationship. I’ve shadowed both medical and chiropractic doctors and there has been more personable care in the field of chiropractic. Your patient is not a number on the waitlist and they are not their diseases or symptoms, but they are someone’s family member. This is where the two approaches separate, like a fork on the road, chiropractors want to be involved in their patient’s lives because their health isn’t only important in the exam room, it remains important for their entire lives. I’m sure that there are challenges to get past like the stigma of the chiropractic method “only working for certain people,” but in my opinion, there’s so much more opportunity that engulfs all these challenges. The primary challenge that chiropractors should be focusing on is the high dependability of pharmaceuticals. Patients want a quick fix to their maladies but it’s at the expense of masking their symptoms with layers of medication. Although this can present itself to be too much of an obstacle, as mentioned above, there is a multitude of opportunity to help patients using the chiropractic approach by way of leading by example and raising awareness of the long term positive effects this approach will provide. Chiropractors are ambassadors for the human body and, with time and dedication, patients will realize that the chiropractic approach is powerful in both the preventative and restorative areas. Chiropractors should be seen as primary caregivers because they refresh and adjust the body which is what it needs to maintain a healthy state. I am very honored to be part of this group of healthcare providers and to embark on a journey of advocacy and servitude to my community. I believe people have lost the true meaning of health and what is takes to be healthy. People deserve more compassion, time, and education; this is where the chiropractic approach will excel because it promises to help the patient in a well rounded way. 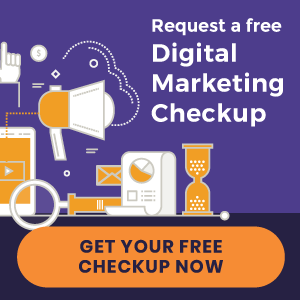 « New Chiropractic Websites Launched!